It is with grief and immeasurable sorrow that we learned of the death of our friend and colleague Justine M. Wilbur, who died with her family in Sheffield, Massachusetts. 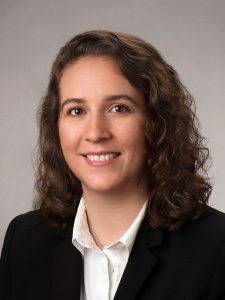 Justine was a talented attorney who joined our team in 2017 after having built a reputation both domestically and internationally as a patent expert. Her work was both meaningful and challenging having encompassed topics ranging from cancer treatment and nanotechnology to advanced materials. Justine was smart, knowledgeable, dedicated and hardworking. She was a devoted mother to her wonderful children, and a true friend to everyone in our firm. We are each devastated by loss and extraordinary sadness, but are comforted and grateful for having shared Justine’s infectious spirit and energy. We pray for her family and those who loved her.